Business in an organization or economic system where goods and services are exchanged for one another or for money. The beauty about writing is that when an error is made you can easily correct it, let’s use your computer as a case study, when you make a mistake you can easily use the undo function (ctrl Z) as the case may be. No matter how far you have gone in writing as long as you discover any mistake, you can just go back and correct that mistake, what if you could enjoy such luxury in the business world, wouldn’t that be awesome? If this was possible, imagine the time, money, man power and emotional stress you would have saved. Since this is not really possible, you can learn from other people experience and that is the main aim of this article. The Jeff Bezos, Jack Ma, Femi Otedola of today didn’t sit idly, with great ideas stuck in their heads. They got the ideas and started executing them in the little way they can; creating the top businesses you know and love today. Having the idea first isn’t what matters but executing it is what will take you far and make your business known. While a lot of entrepreneurs are stuck with the well-known option of raising capital for their businesses through bank loans alone, it would please you to know that with the right access to information, there are a variety of options start-ups can select from which includes accelerators, incubators, angel investors, business plan competitions, grants from venture capital and investment funds, government funds and a host of others out there. 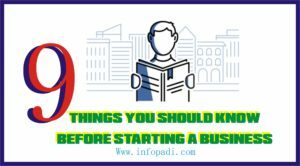 You would be shocked to know that the famous business men known all over the World today didn’t depend on their Government or people to provide all the necessary infrastructures needed to start up their businesses. They instead adapted to their very own environment and made immediate use of the limited resources they could find. Having it at the forefront of your mind that “nobody owes you a dime” would have you letting go of all entitlement mentality and taking full control of your life. Starting a business is a day’s job but yielding profit out of it is where the work and burning the midnight oil starts. The waiting period for each business out there varies a whole lot. While some can take months to turn up a profit, others take years. This waiting period is indeed where your business acumen is being tested as some entrepreneurs abandon ship, others will be the Masters of their sail in this hard yet rewarding moment of their business journey. If you can’t stand this test better don’t begin the journey. A research carried out to show why businesses fail arrived at the final verdict that startup businesses fail because their products or services had no market need to serve. As a startup, when it is brought to your notice that your product or service isn’t acceptable by the market at the time or not satisfying your consumers, it is definitely ok to let it go. Not in the sense of quitting your business entirely but moving on with a new product or service. Note that your consumers are the judge of your business and without satisfying them, your business would yield nothing. Who told you Jack Ma got it right the first time? Ever heard the story of Abraham Lincoln who contested for quite a number of times before he eventually won as the President or the Wright brothers who never stopped crashing each plane until they got it right? These men failed at a point in their lives but one mistake they never made was to brand themselves as failures and never try again. In a bid to avoid the tag “loser”, most startups personalize their failures and never got the chance to open up to the right people who would have encouraged them to try and try again till they get it right. Failure is not a permanent tag. The successful men out there may look bold, fearless and it seems like they can take on the sky and still conquer it. Do not make the mistake of thinking you cannot achieve so much as they have because just like you, they have fears and doubts but one thing they are doing different from you is taking the leap to fly and not crash. Life in its entirety is all about risks and those who don’t take the risk may never fly. Business is a risk and you are bound to have those fears. They are what make you human after all. Some people focus on how stylish their office space is going to turn out, others focus on creating an online presence with their business name, and some focus on how to add more to the already existing capital while a selected few are thinking of a website. These are of course not bad plans but as a startup, they are mere distractions. The only thing that should matter to you is your customers. How will you satisfy them? How can their needs be met and importantly how will your product or service keep them coming? 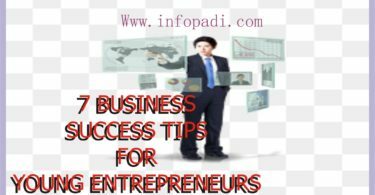 As a startup, you have quite a number of duties such as hiring, organizing your operations, leading sales and accurate accounting. To survive all these and not make mistakes that would mar your business is to learn and never stop learning. No matter the success you finally attain, it is important that you keep on learning as one can always gain something new and find a different approach in handling issues that may arise. Being an entrepreneur is an interesting journey you’d be glad to be a part of.